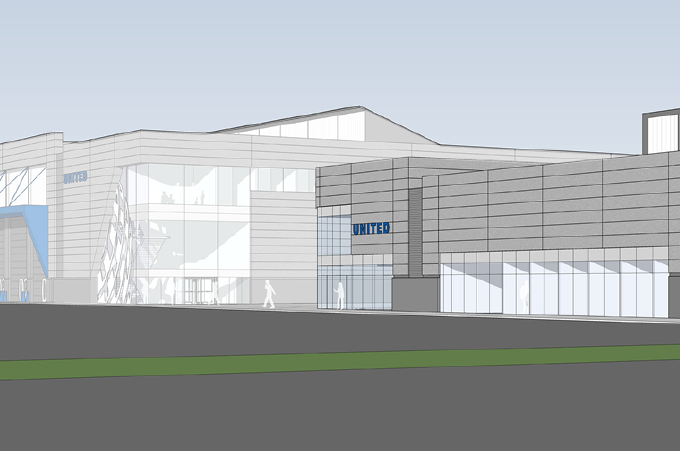 Chicago has issued a $40 million building permit to complete construction of a new United Airlines ground equipment maintenance building at O’Hare Airport. This follows earlier permits, including a $4 million foundation permit issued Dec. 15 and a $6 million building superstructure permit issued on Jan. 31. M. A. Mortenson Company is the general contractor for the work at 11601 W. Touhy. Key subtrades include: Electrical – Gurtz Electric Company; plumber/plumbing – AMS Mechanical Systems, Inc.; and refrigeration and ventilation – Hill Mechanical. The work is part of Mortenson’s $120,000 million North Airfield program for United. American Airlines started work on its own $45 million ground maintenance building at O’Hare last year.